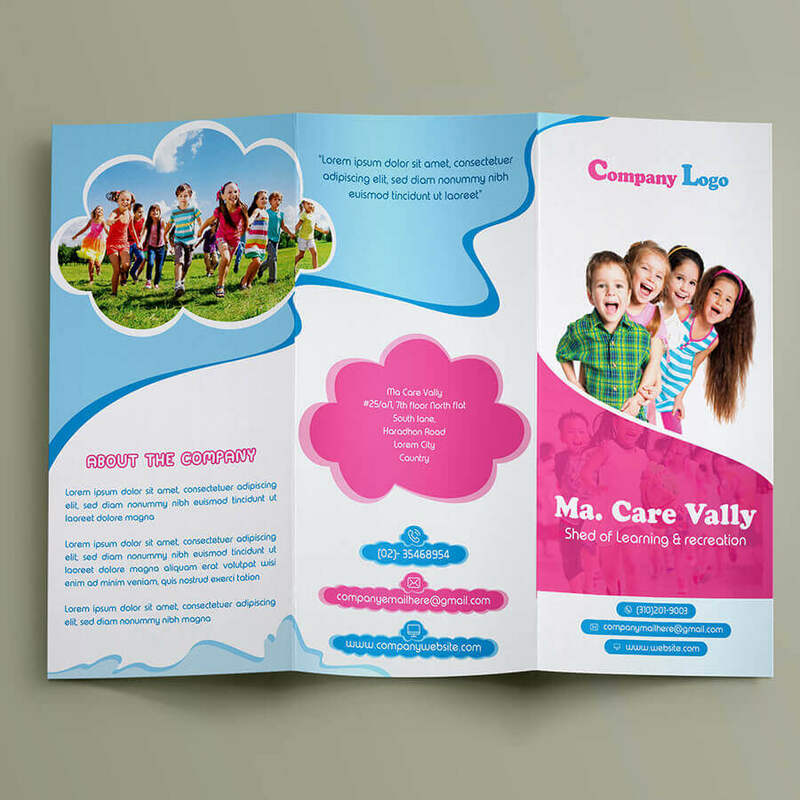 It’s a free child care tri-fold brochure that’s fully layered, layers are properly named, grouped and well organized. size a4, 300dpi, cmyk mode. 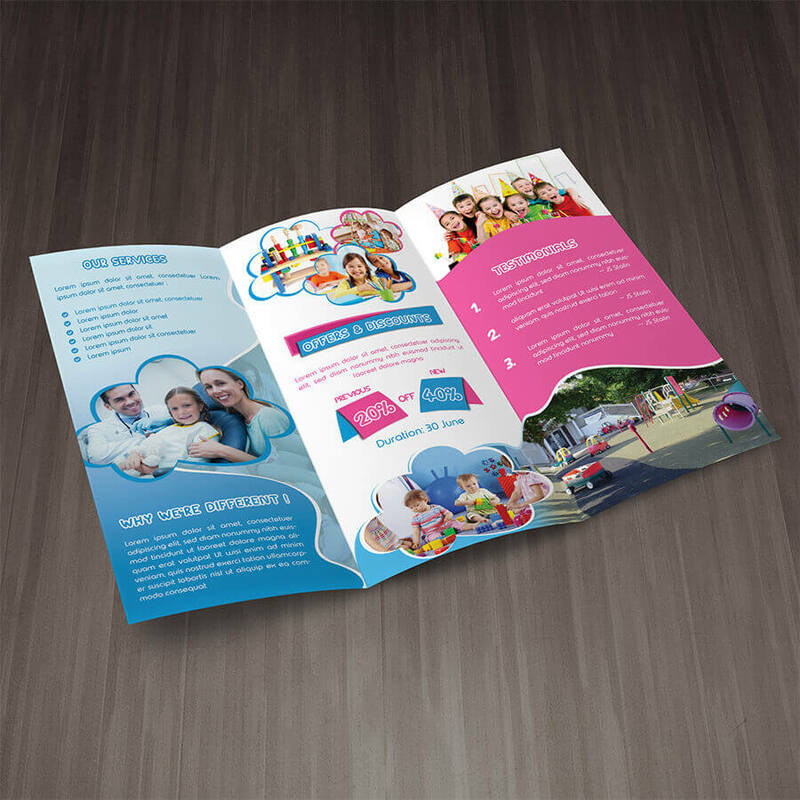 main file is photoshop psd. 3mm bleed included, print ready. It’s fully free for personal use but not for commercial. No permission to sale at all. It’s very easy to customize.